Keep your car at its peak performance with regular fluid exchanges. 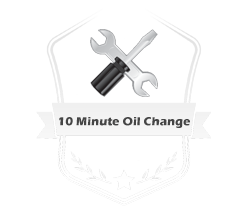 At Oil Exchange, we offer oil change service to let you get the most out of your vehicle's engine. We also provide transmission flushes to help clean the components of the transmission system. To extend the life of your car's cooling system and allow it to run efficiently, let us give it a radiator flush as well. We top off our fluid accept for washer fluid and anti-freeze will be an extra charge. Also soft car car wash and automatic blow dry is also available. Oil Exchange is a locally-owned-and-operated auto service center in Chicago, Illinois, that specializes in car fluid exchanges. Apart from full-service oil changes, we also offer cost-effective radiator and transmission flushes. We additionally provide a soft-cloth car wash with automatic blow dry. Oil Exchange is licensed and insured, and has been in business for more than 25 years. We take pride in providing our customers with fast and clean services. In line with our commitment to quality and excellence, we use only premium brands, such as Pennzoil™, Quaker State™, Valvoline™, Mobil 1™, and Castrol™. We are located near the Chicago Skyway at Stony Island.